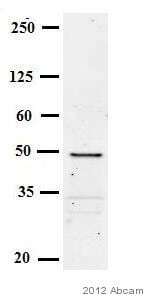 Full length native protein (purified) (Human liver). Human breast carcinoma tissue or cell line extract. Our Abpromise guarantee covers the use of ab6313 in the following tested applications. WB 1/1000. 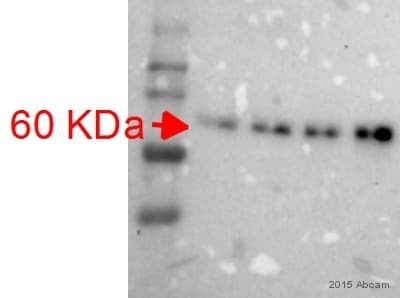 Detects a band of approximately 52 kDa. 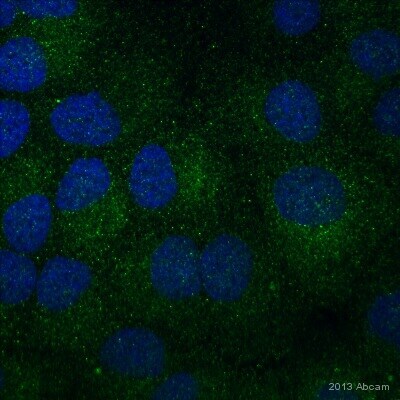 Incubated with the primary antibody for 1 hour at 22°C in 5% TBS-T.
ab6313 staining Cathepsin D in DU145 human prostate cells by ICC/IF (Immunocytochemistry/immunofluorescence). 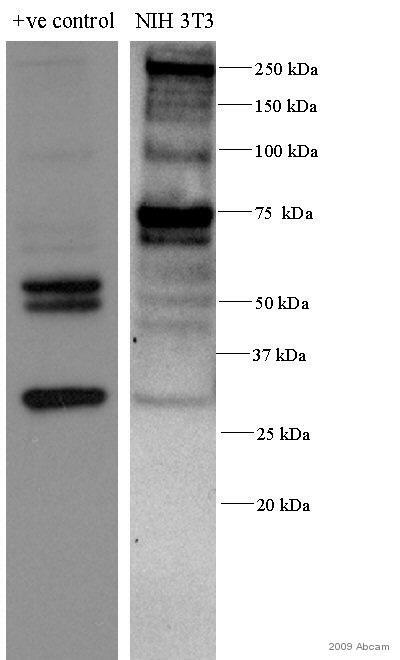 Cells were fixed with paraformaldehyde, permeabilized with 0.1% Triton X-100 pH 7.4 and blocked with 5% BSA at room temperature for 20 minutes. Samples were incubated with primary antibody (1/200 in PBS) for 1 hour. 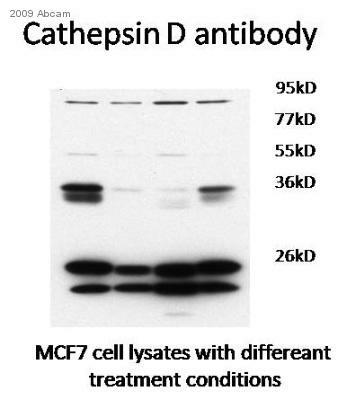 A CF488A-conjugated goat anti-mouse IgG (H+L) polyclonal was used as the secondary antibody (1/500). 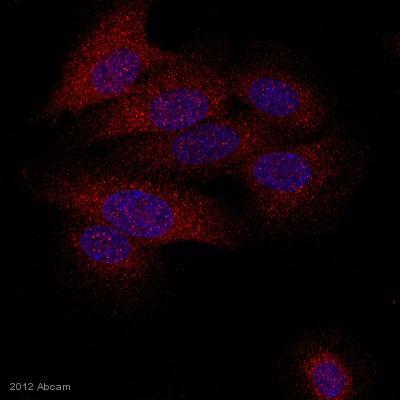 ab6313 staining Cathepsin D in HepaRG cells by ICC/IF (Immunocytochemistry/immunofluorescence). 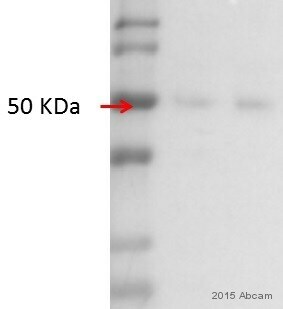 Cells were fixed with formaldehyde, permeabilized with Triton X-100 in PBS and blocked with 1% milk at room temperature for 20 minutes. 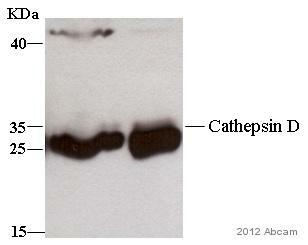 Samples were incubated with primary antibody (1µg/ml in 1% milk) for 30 minutes. 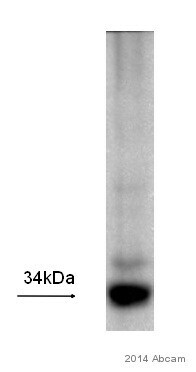 An undiluted Alexa Fluor® 594-conjugated goat anti-mouse IgG polyclonal was used as the secondary antibody.